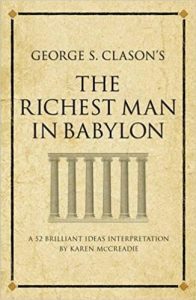 The Richest Man in Babylon is a fable that teaches basic personal financial rules that will help you save money and increase your net worth. “The Richest Man in Babylon” is a fable/parable. I will not tell you the full story but only the most important and applicable points. The Richest Man in Babylon recommends you save at least 10% of your income. The richest people save much more, but starting with 10% is achievable for anyone and requires little adjustment in the quality of life. Invest your savings so that it starts generating further income. The book mentions the compound effect, also espoused by books such as Money Master the Game and Unshakable. Most books focus on making more money, but The Richest Man in Babylon says that decreasing your expenses will be a quicker win for most people. As your money grows you will be tempted to investing in cool things and trying new stuff. Don’t. Stick to investing in what you know and what you can control well. Don’t put your money in any position where it can be wiped out. Gambling, for example, doesn’t allow you to cap your downsize as you risk to lose all the money you gamble. To avoid protect your capital, get insurances. If you are renting, you’re flashing money down the drain. Buy a house instead and transform it into an income generating machine by renting it out. You never know when you won’t be able to work anymore, or when you won’t want to work anymore. That’s why you need to set up systems that will ensure an income without you making anything. Never assume you know everything about your trade and your investments. Keep an open mind and always keep learning. 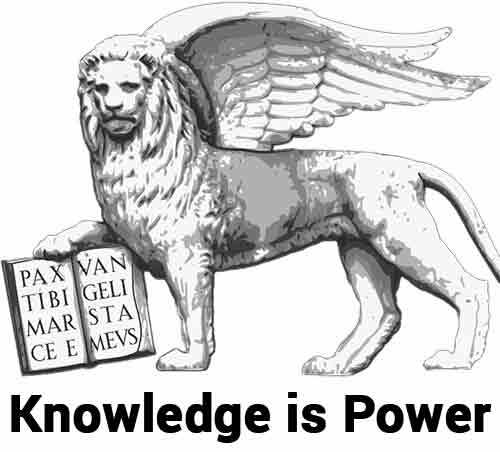 The more you know, the more money you can make. Most purchases we make, we don’t really need. I got so much stuff around me I barely used. Always ask yourself if you really need it before buying it. The concept are very similar among books on this genre. Including The Total Money Makeover, The Millionaire Next Door and Rich Dad Poor Dad. The Richest Man in Babylon shares the idea of the compound interest. Which is valid, but based on the concept the market will keep going up, which is far from true (read Fooled by Randomness) and which will anyway take decades to make you rich -if ever-. And it’s more about real estate than entrepreneurship. Read the great The Millionaire Fastlane for a different approach and mindset. I understand the book wants to use parable and give an “old wisdom feeling”, but it’s annoying reading words like “thy”, “thou” etc. While I write above that many similar concepts repeat across many similar books, it’s also true these concepts are basics personal finance tenets anyone should know about. I liked how The Richest Man in Babylon shares not just tips and laws, but also key mindsets. 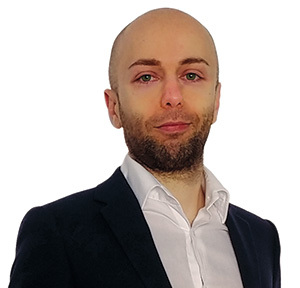 Such as stop wishing for big lump sums of money but focus instead on work and on achieving an increasing cash flow. The Richest Man in Babylon is a good book on basic personal finance tenets and mindsets. If you haven’t read anything similar before, then grab yourself a copy.